The Government recently issued Decree No149/2017/NĐ-CP, which regulates a new special preferential import tariff, as agreed upon in the VKFTA, and to be put in place between 2018 and 2022. 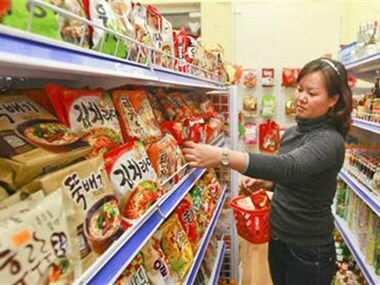 Under the decree, import taxes imposed on 704 types of products imported from the RoK to Vietnam, will be eliminated in 2018. The groups of commodities that will enjoy tax exemptions this year are mainly in seafood, wheat flour, confectionery, diesel fuel, jet fuel, paint, laundry detergent, plastic, iron and steel products, power machinery and equipment, and electronic products. In 2018, an additional 653 products imported from the RoK will also have their tax rates lowered from last year. The preferential tax rates will be applied to commodities directly transported from the RoK to Vietnam. The goods must also meet origin regulations, as stated in the agreement, and exporters must provide certificates of origin in a form stipulated by the Vietnamese Ministry of Industry and Trade. In 2018, Vietnam has set several new preferential import tariffs to implement bilateral and multilateral FTAs with partner countries and territories, such as mainland China, Hong Kong, Japan, and the RoK. Under the Vietnam-Japan Economic Partnership Agreement (VJEPA) and the ASEAN-Japan Comprehensive Economic Partnership Agreement (AJCEP) for 2016-19, nearly 4,000 import tariff lines for many groups of commodities imported from Japan will be also eliminated in 2018.